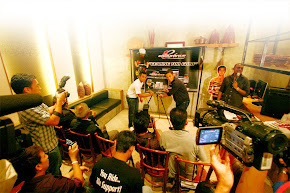 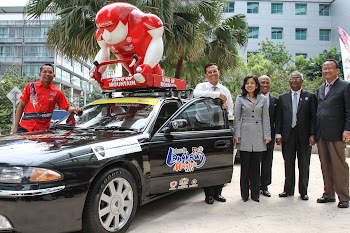 KUALA LUMPUR, 13 FEBRUARY 2015 - Le Tour de Langkawi 2015 organisers Human Voyage Sdn Bhd describe the passing of legendary sportscaster Dato' Haji Hasbullah Awang as a tremendoues loss to sports as his vibrant and interesting commentaries and analysis which inspired the nation and lifted the sports scene in Malaysia. 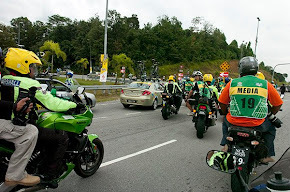 LTdL 2015 chief executive officer Datuk Malik Mydin said Allahyarham Dato' Hasbullah was among the individuals who helped popularise LTdL in its early years through live commentaries and delayed highlights aired on RTM. 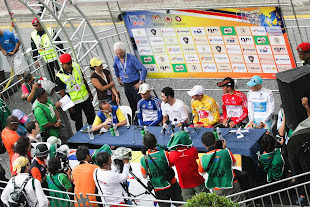 "We have to acknowledge that through Allahyarham's service at RTM and his commentaries on LTdL's earlier editions, the interest in cycling stage races had increased as he was capable of great commentaries, which had viewers captivated by the race and understood how stage racing was different from one-day races," said Datuk Malik. 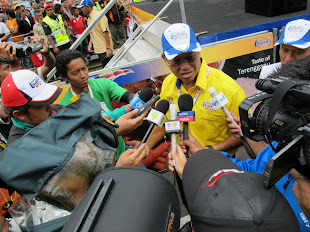 "His voice and intonation when commentating livened up the atmosphere, and Dato' Hasbullah was also renowned as a hardworking professional, especially when gathering information for reference in his commentaries. 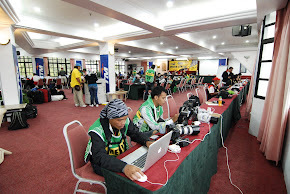 He was also a caring senior who helped guide the careers of many young journalists and presenters that came after him. 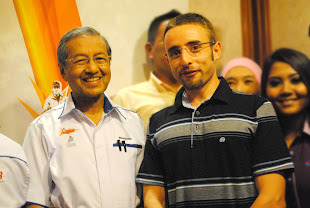 "I got to know Allahyarham personally because he was among the journalists that provided coverage when I swam across the English Channel in 2003. 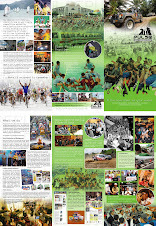 At that time, I was close to the group of journalists who covered the event in London and we were always together while awaiting the green light from the English Channel Swimming Federation to begin the challenge." 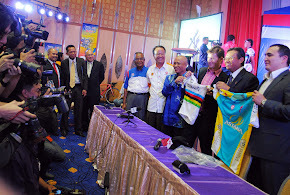 According to Datuk Malik, the passing of Dato' Hasbullah, whose distinct aura when commentating live, was an irreplaceable loss to the sports media industry in this country. 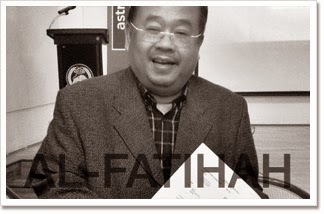 Allahyarham Dato' Hj Hasbullah passed away at the National Heart Institute (IJN) yesterday due to a heart attack. 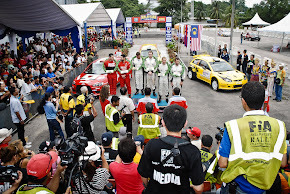 His remains were laid to rest in Shah Alam yesterday evening.